IMPRESSION Nepal- Kantipur Publication employee Union has built its own office building. Inaugurating the office ,GEFONT President Cde. Binod Shrstha highlighted on the importance of union office to manage the union activities. Cde. 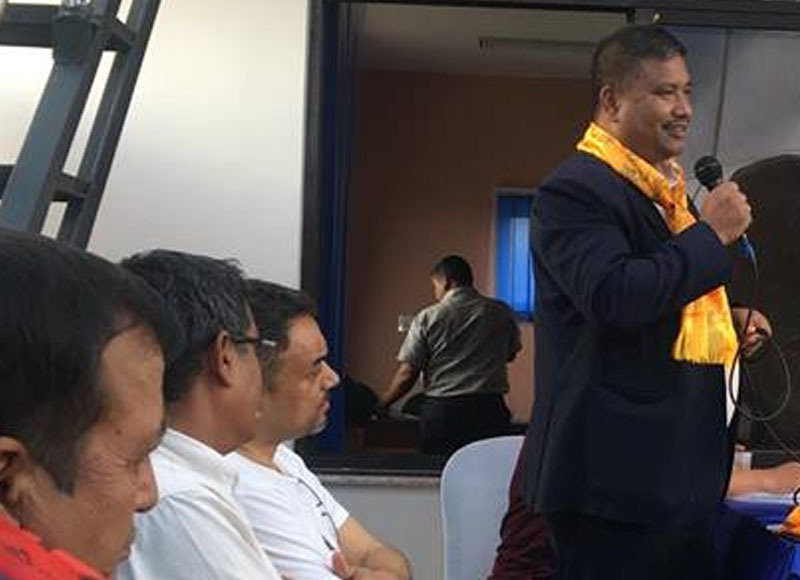 Shrestha expressed his happiness that in the initiation of the dedicated members of the union, GEFONT and its affilaite unions have own building in various district. On the occasion, GEFONT vice-President Cde. Ramesh badal briefed on labour law & contributory social security Act. Cde. Mahendra sharestah President IMPRESSION and Cde. Suraj Adhikari General Secretary IMPRESSION highlighted on on Policies and programmes of IMPRESSION.